Morra Aarons-Mele is one of those very gentle friends whose quiet demeanor belies a powerhouse mind and brilliant insight. 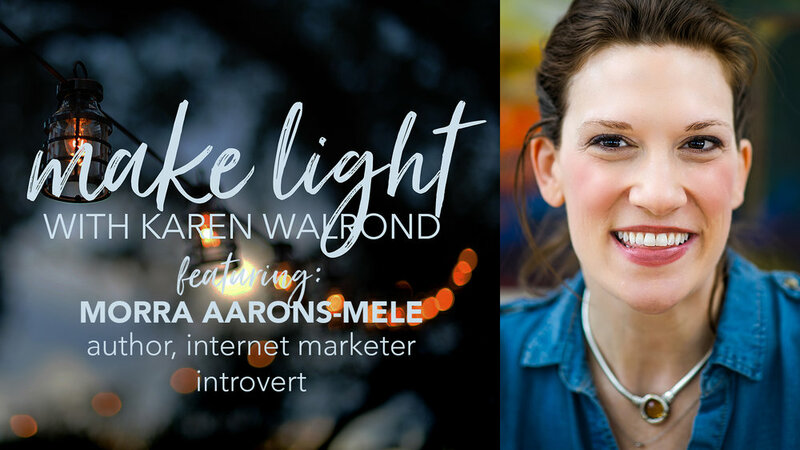 So I was thrilled when she agreed to be on the Make Light Show to talk about her brand new book, Hiding in the Bathroom: An Introvert's Roadmap to Getting Out There (When You'd Rather Stay at Home). And we got into it, honey: we talked about feminism, the bias in favour of extroversion, and even dealing with anxiety. So click here or on the arrow below to listen to our conversation about introversion, perfectionism, and how boundaries are like a lap pool. Morra is such a delight. As always, be sure to click here to learn more about her. And please, don't forget to subscribe on iTunes, Android, or wherever you listen to your podcasts -- and if you're enjoying the show, be sure to leave a review! "to the extent that you can, err in the direction of kindness"